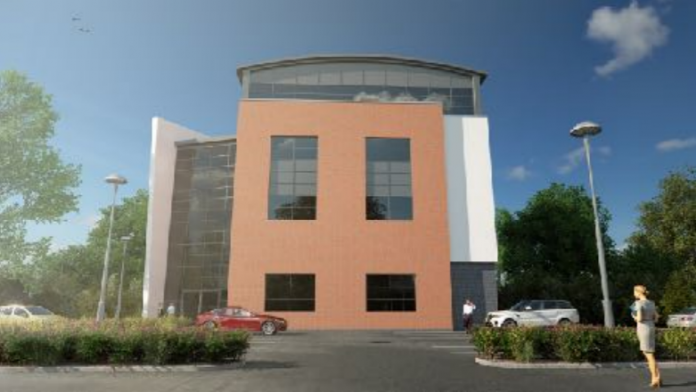 Derby City Council have approved plans for a replacement four storey research and development building on Alfreton Road from electronics manufacturer Pektron. The current Pektron building on the site, built in the 1960s, was the company’s first purpose built accommodation. The building, which is used for manufacturing, research and development and administrative offices, will be demolished. The proposed new building is “the next phase of Pektron’s investment in high tech electronics design and manufacturing in Derby,” and will consist of a new four storey building on the existing site occupying a footprint of 680 sq.m. The ground floor is to be used for research testing, with design and component manufacturing on the three floors above.